Citrus season has been beautiful this year. Even with heavy rains the lemons are fresh and robust. These Meyers were just picked and are soon to be brought inside and displayed on our kitchen table. I arranged them on a decorative cake plate and added sprigs of green foliage for accent. 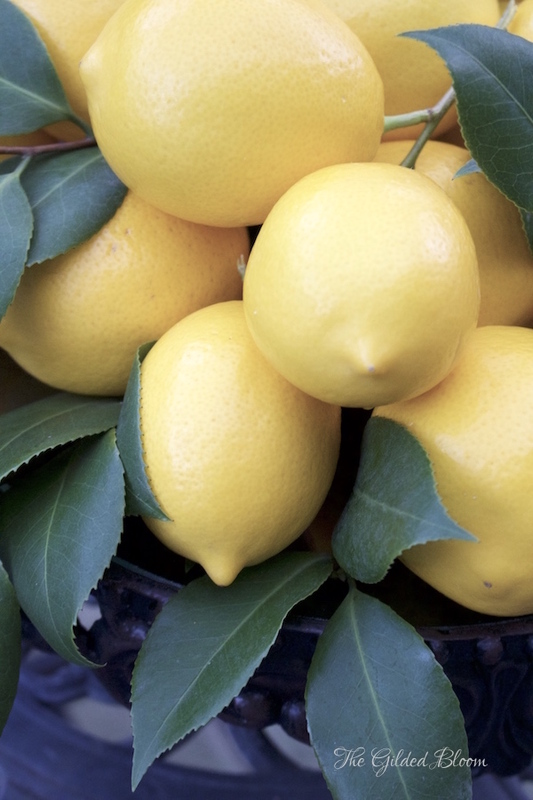 Did you know that lemons are thought to have originated in Asia? The Meyer is a cross between a lemon and an orange or mandarin which makes it sweeter and a brighter yellow than other lemons. The skin is also smooth and thin making it difficult to package for shipping, so they are rarely sold commercially. But growing them at home is easy as long as you have good soil and plenty of sunshine! 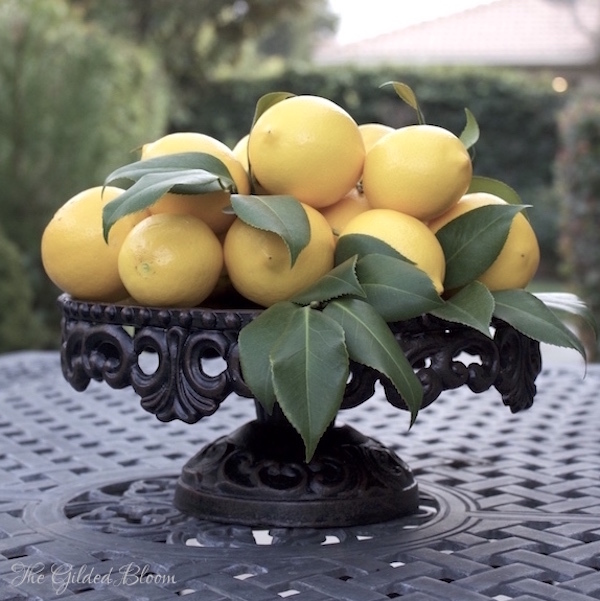 Lemons are delicious in aromatic dishes and also make an excellent addition to winter floral arrangements, when the garden is still bare and one has fewer flowers available. 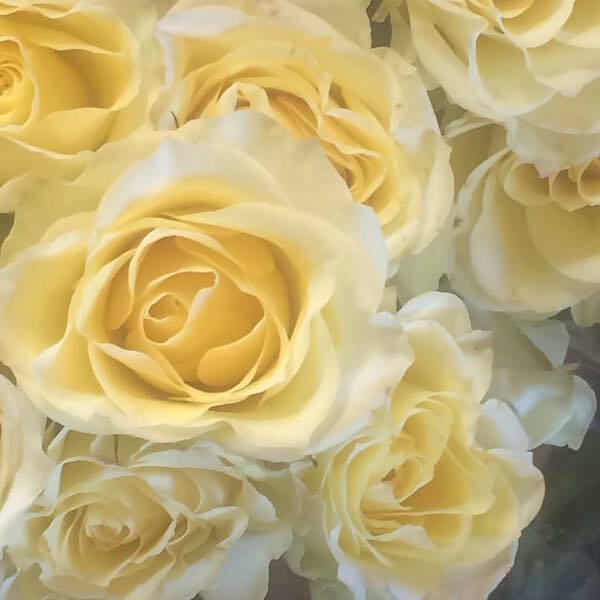 I purchased these light yellow roses at the market and worked them into an arrangement of lemons and winter berries with a few budding citrus blossoms that have just started to appear on the trees. 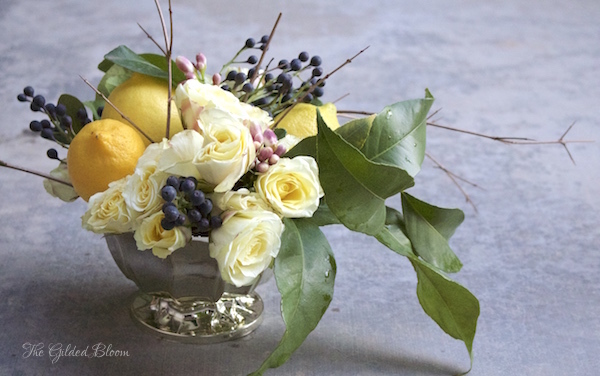 Arranging flowers and fruit in a low bowl like the one shown above makes a simple and lasting display. 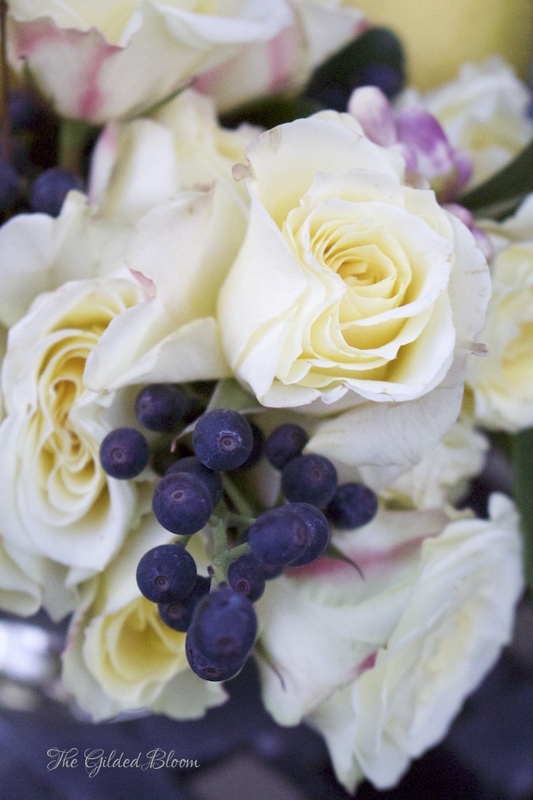 I like to have floral designs indoors that reflect the spirit of the season and these lemon yellow roses and deep blue berries provide a striking contrast. They remind me of winter days when just a bit of pale sunlight pops through a clouded sky.